We need help with this mission. 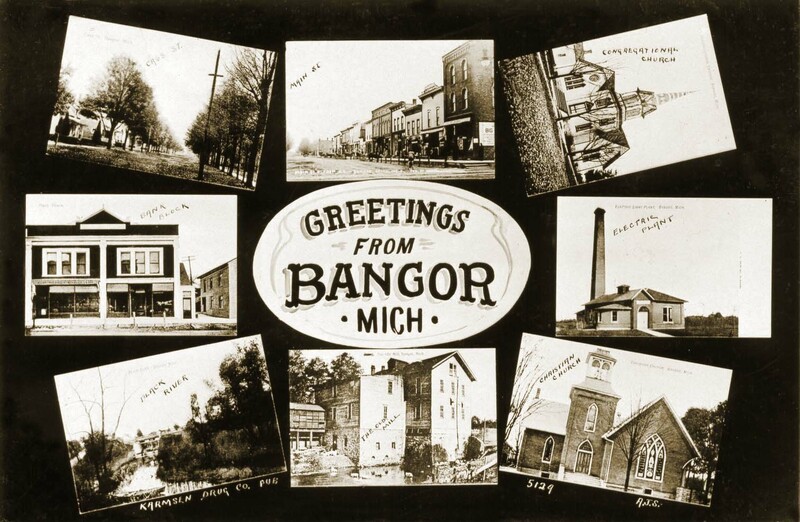 This is an organized effort to document life, business, and events, detailing how Bangor has looked and lived over the past 100 plus years. Please tour our web site and find out what has been done and what needs to be done to make this venture a success. Become involved and bring Bangor's past to life. All the photos in this section were collected from families and individuals located all over the United States. It has taken nearly 14 years to put together our collection of over 3300 Bangor photos and over 2100 family photos. The Bangor Historical Society feels it is our obligation to preserve our community's past. Please note, this website and the collecting of photos takes a considerable amount of time and effort. We would like to share these photos with the public and welcome everyone to feel free to copy anything on this website. We ask nothing in return. However, if you are impressed with our efforts, you can support our work with a tax deductible donation or by joining the Bangor Historical Society. Click on the "About Us" tab on the homepage for information on our organization's dues and donations. Thank You.